The civil war on Mon Calamari is in full play! 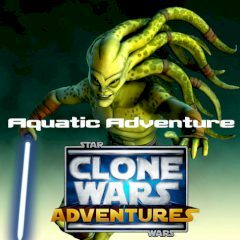 The master-jedi Kit Fisto was at the head of the republican forces in opposition against the Quarrens, whom helped the separatist Aqua droids. Control the OMS Devilfish sub and shoot the enemies trying to withstand their endless attacks!